Design The textured plastic feels durable, and the keyboard is spill-resistant. Connectivity There are plenty of ports, including both Type-A and Type-C USB connectors. Stylus support You can draw on the screen. Screen The display is somewhat low-resolution, and has noticeable light bleed. Processor The Celeron N3450 is fine for basic tasks, but it slows down under heavy workloads. Availability The Chromebook is only available from a handful of retailers. I would describe the NL7TW-360's design as mostly good. The exterior is almost entirely made of textured plastic, but it doesn't feel cheap. 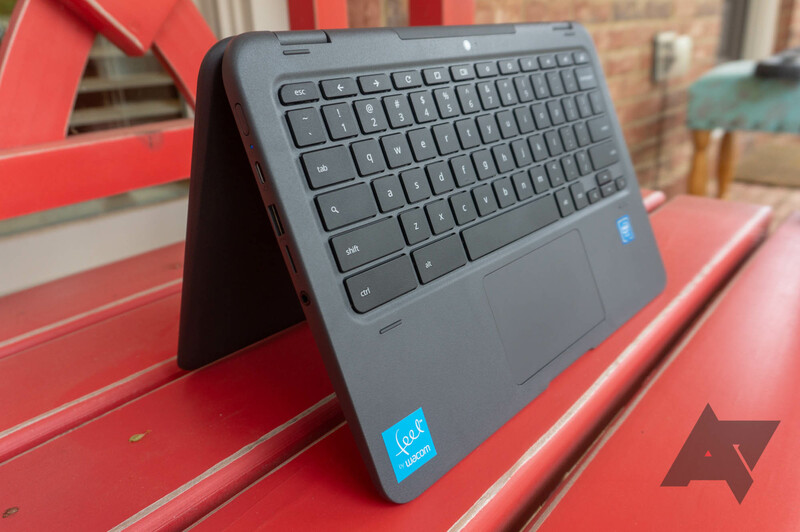 The edges of the base section are curved, making the laptop very comfortable to hold in tablet mode. Speaking of tablet mode, the display hinge has much less resistance than on other 2-in-1 laptops I've tried - flipping the screen around takes very little effort. The connectivity options are fairly standard. On the left side is a power button (with an LED indicator), one USB Type-C port, one USB 3.0 Type-A connector, a microSD card reader, and a headphone/microphone combo jack. 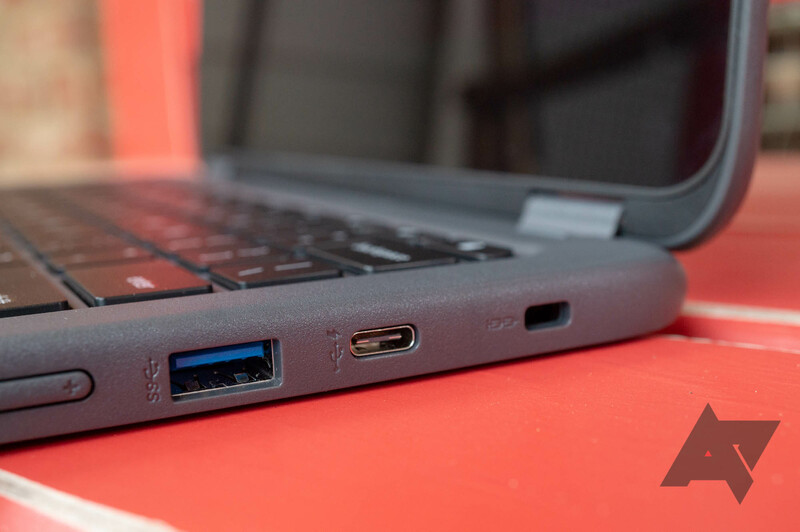 On the right is another Type-C port, another USB 3.0 Type-A connector, a Kensington lock, and a volume rocker. 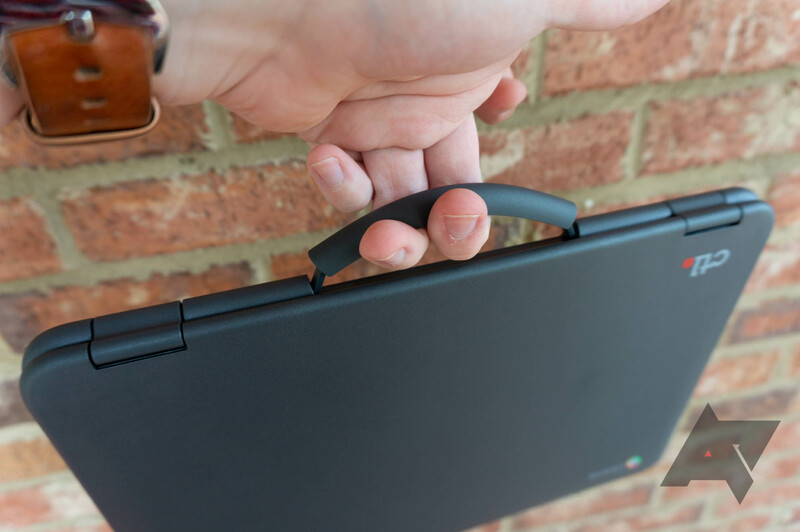 There's a retractable handle on the top, so you can carry the laptop around like a tiny briefcase. The Chromebook has a camera at the top of the keyboard, in addition to the standard webcam. This is so students can take photos by flipping the laptop into tablet mode, causing the camera to point backwards. 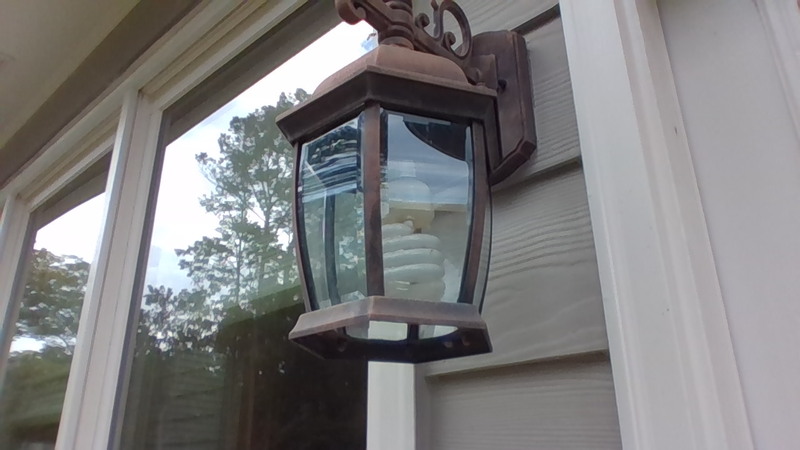 It's a neat idea, but the photo quality is exceptionally poor, so the camera isn't good for much. I only have two real complaints with the laptop's design. First, there is a small gap between the display's glass panel and the back casing, where dust can become trapped. I can understand why CTL didn't go for a unibody design, since repairability is important for schools, but it's still annoying. Second, there is nowhere to keep the stylus when you're not using it. I misplaced the stylus a few times during this review, so I can only imagine how many students will do the same. There's not much to say about the keyboard - it has the same layout as every other Chromebook. The keys are slightly mushier than most other laptop keyboards I've tried, but I still had no problems writing posts and responding to emails. CTL says it's spill-resistant, but I wasn't brave enough to test that claim. 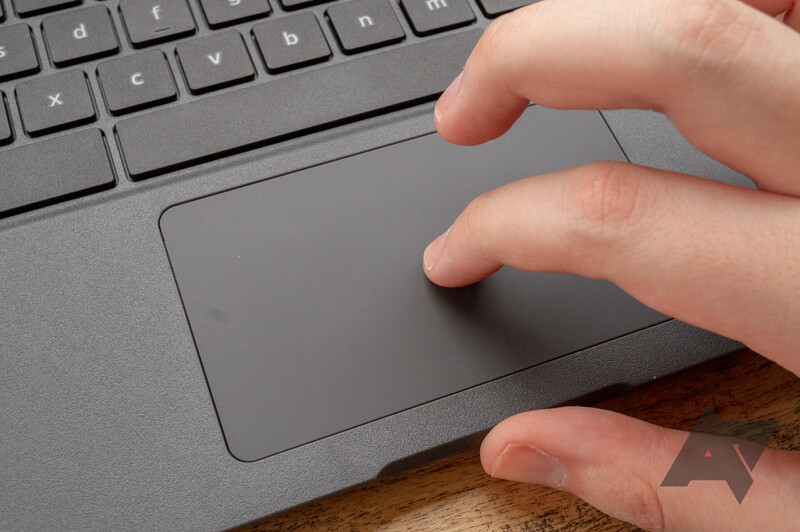 The touchpad is also fairly standard, and tracking is good. I wish it could have been a little larger, but it's still usable. The screen is probably the weakest point of this Chromebook. This is usually where the most corners are cut on budget laptops, and the 1366x768 display is indicative of that. The resolution isn't too bad, since this is only an 11.6-inch Chromebook. It can get bright enough, but contrast is sub-par. 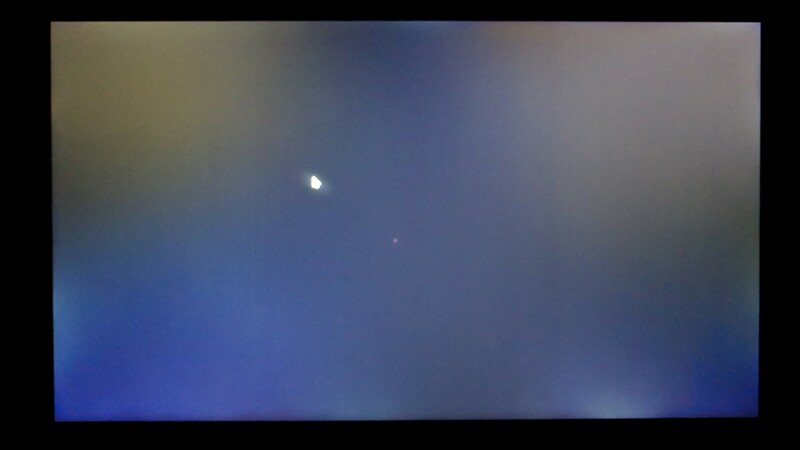 There's a fair amount of light bleed around the edges, so this isn't a great device to watch movies on. The only standout feature of the screen is stylus support. 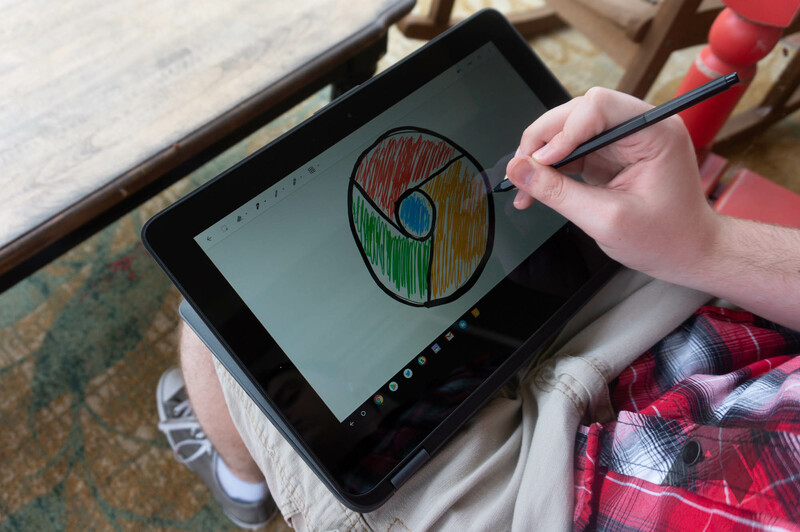 If you've never used a Chromebook with a stylus, there are a few features accessible from the pen icon in the taskbar. You can capture part of the screen for a screenshot, create a note in Google Keep, use the stylus as a laser pointer (for when an external monitor/projector is mirroring the screen), or bring up a magnifying glass. There's no pressure sensitivity, but you can flip the pen around and use the eraser to remove drawings. As previously mentioned, there is no place to hold the stylus. If you lose one, CTL doesn't sell replacements on its website, but any Wacom EMR pen should work the same. 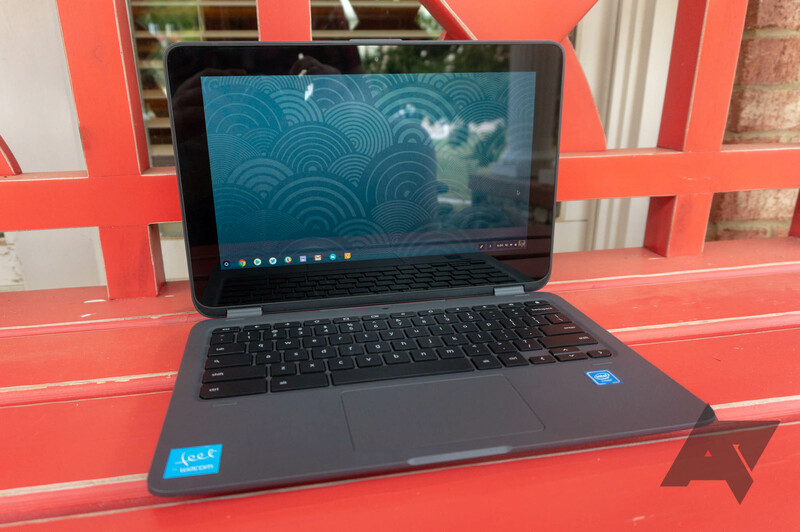 Normally, I would advise against Chromebooks using Intel's Apollo Lake processors. 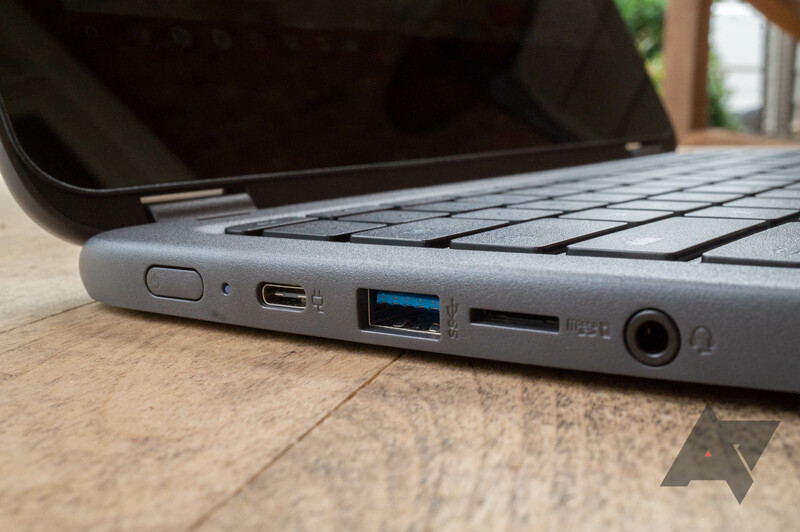 They're based on the terrible Atom CPUs that were common in netbooks a decade ago, and you can usually find ARM-powered Chromebooks for the same price (with better power efficiency and improved Android app support). However, I'm not aware of any durable Chrome OS machines that use ARM chips, so you don't get much of a choice here. The Intel Celeron N3450 processor has four CPU cores/threads, with a base frequency of 1.10GHz and a boost clock of 2.20GHz. It's definitely not a powerhouse, but it can handle a few Chrome tabs and Android apps. 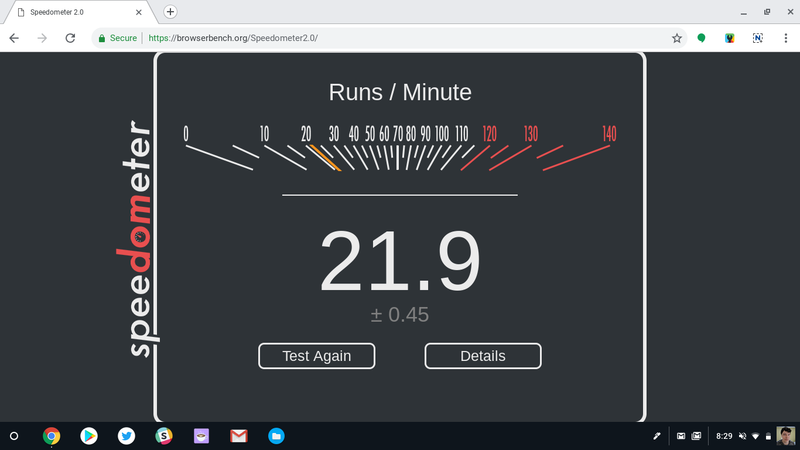 I've noticed the Chromebook slows down when loading a large Google Docs file or a complex web app, but that's about it. 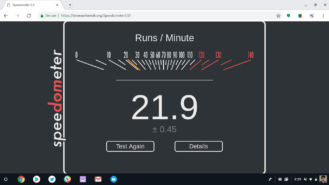 If you're interested in benchmarks, the CTL NL7TW-360 scores 21.9 on Speedometer 2.0. 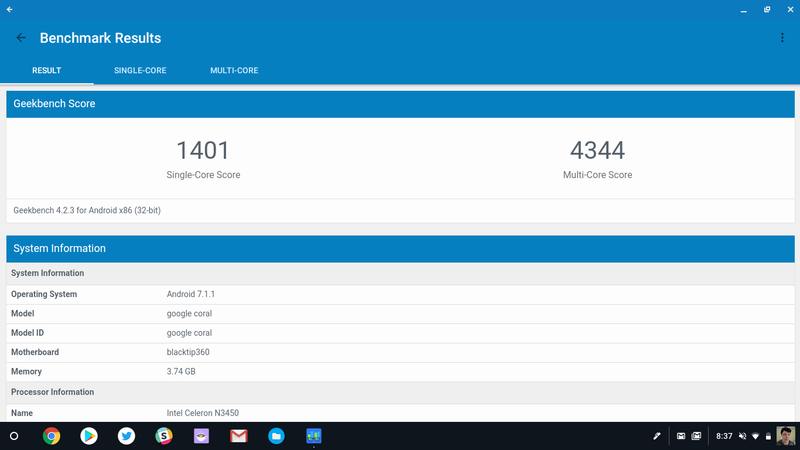 For comparison, the Asus Chromebook Flip C302 gets a score of 65.51. 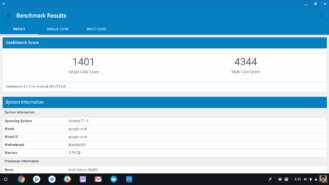 Geekbench 4.0 gives a single-core score of 1401, and a multi-core score of 4344 (full results here). As for battery life, the laptop lasts me around eight hours, depending on the screen brightness and what I'm doing. I never once found myself reaching for the charger. The CTL NL7TW-360 is a good laptop. 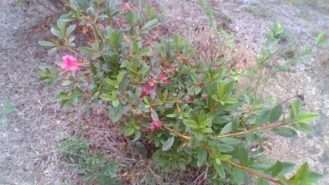 It's not mind-boggling fast, or durable enough to survive being run over by an SUV. It's just a decent Chromebook that can take a few falls or accidental water spills. I really don't think any student using this in a school would complain about it - until they lose the stylus, anyway. At its current price of $329.99, the laptop is really only a good deal if you absolutely need a tougher Chromebook. 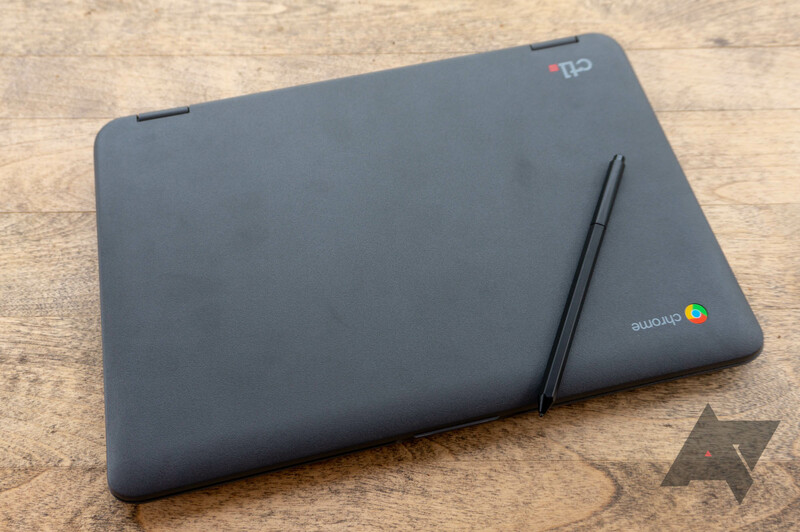 If durability and stylus support aren't top priorities, the Asus Chromebook Flip C101PA is much cheaper (currently $165 at Best Buy), and it has a better ARM-based processor with a slimmer design.